We take great care to bring the authentic flavours of Thailand to your table with healthy and flavourful dishes and snacks that are fresh and natural, with no added MSG. 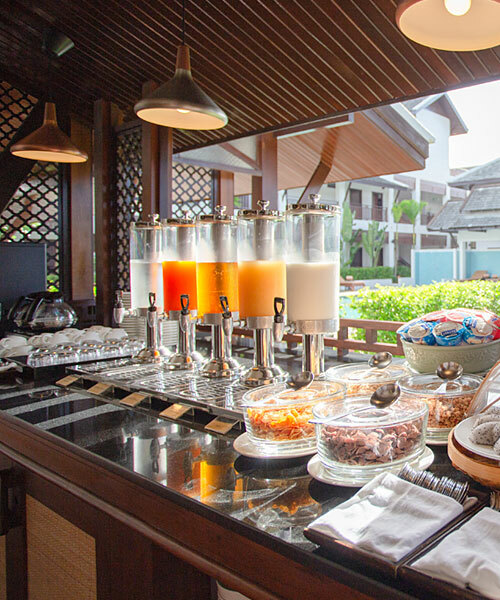 We encourage you to try our local style street food, exotic fruits, Thai sweet treats and herbal drinks that you can expect to find at local farmers markets and street vendors, made available to you without leaving the comfort of our resort. 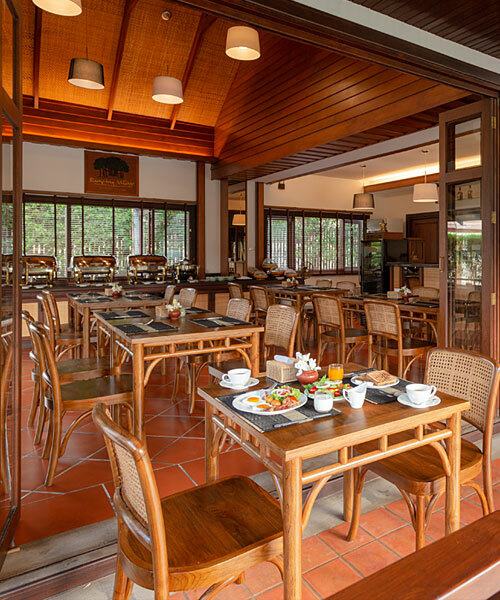 We serve you a delightful array of local and international options at the breakfast buffet each morning. 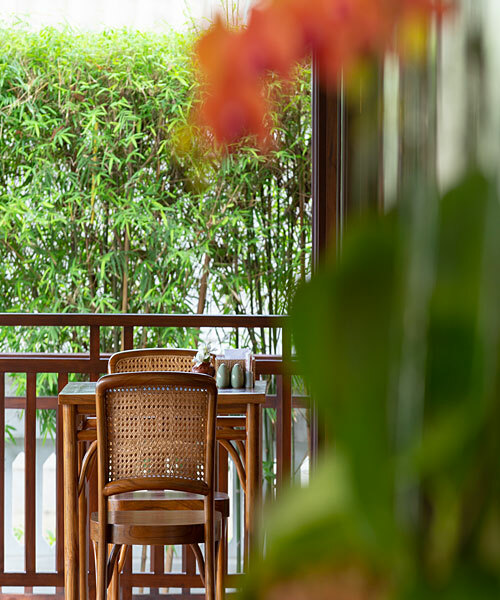 This is the perfect time to sit outdoors amongst nature and indulge in delicious ripe mango, dragon fruit, melon, pineapple and more from our daily fruit selection, including our signature mango and sticky rice available each morning. 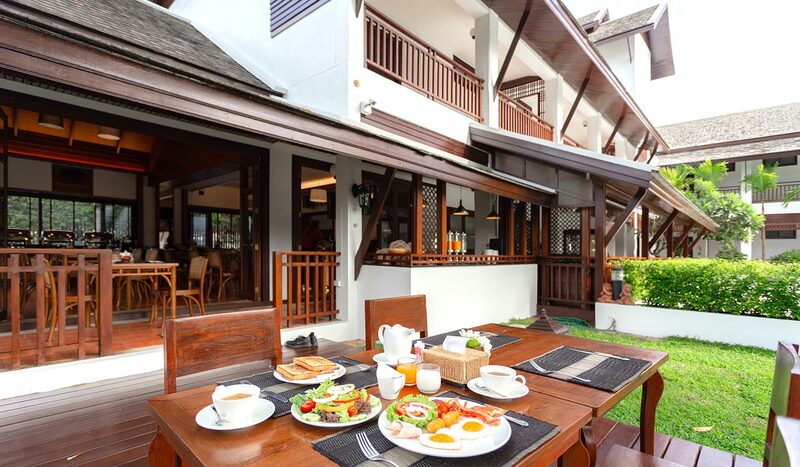 Sip fruit juice, tea and coffee and order your favourite eggs with our hot dishes accompanied with a selection of fresh bakery products and more. To satisfy your afternoon craving for a snack we provide a complimentary selection of healthy local treats. 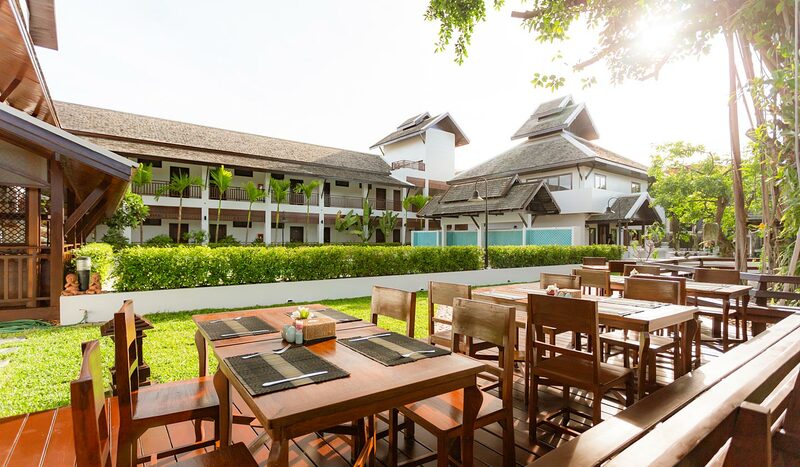 Whether you are relaxing by the pool for the day or just returning from a trip into town, come and join us in the restaurant for natural, local snacks such as mango and sticky rice, Thai desserts, exotic fruits and herbal drinks. 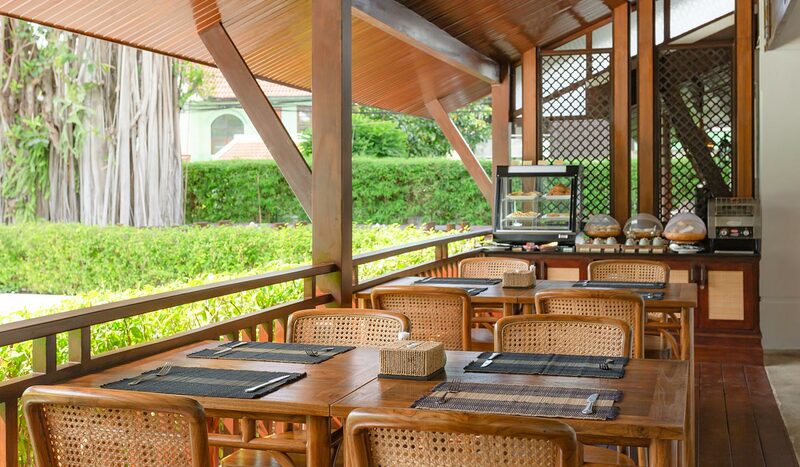 We bring you the best in Thai cuisine that is fresh and full of flavour to give you an authentic taste of Thailand. Each dish is lovingly prepared by our professional chef who uses the freshest locally sourced ingredients. Browse our menu of tempting appetisers, curries, soups, noodles, rice dishes and more and let us know if you have any special dietary requirements, our chef is always happy to help. Come and experience why many of our guests give great reviews about our Thai food! 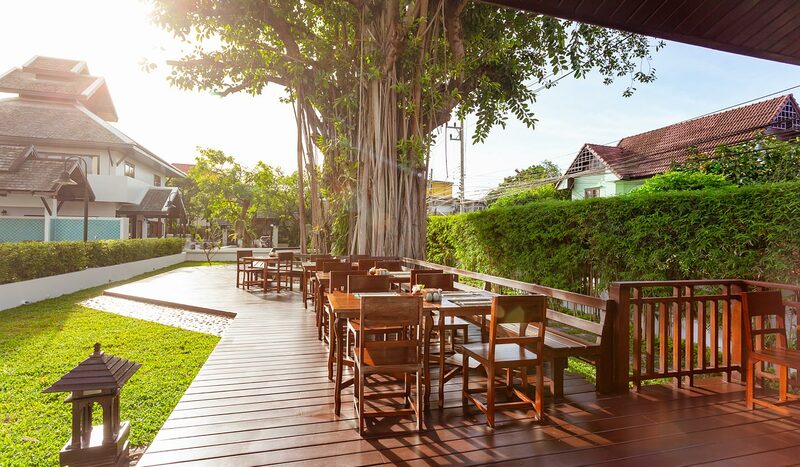 Thailand is famous for its excellent choice of street food, it is a culture that we are very proud of and want to share with our guests. Eat just like the locals and try some of our classic street food dishes such as ‘khao man gai’ chicken and rice, ‘khaonom chin’ thin rice noodles accompanied by fresh vegetables and a choice of sauces, ‘khao soy’ noodle dish with a coconut curry soup and ‘khao kha moo’ rice served with pork leg and steamed bokchoy. The simple and very delicious street food dishes are served daily at lunch time, with a different option to try every day. Boost your health with our range of fresh herbal drinks that are very popular with the locals. These traditional Thai drinks are refreshing and made using natural ingredients such as flowers and herbs. Try the delicious roselle juice, coconut juice, chrysanthemum drink, butterfly pea juice and lemongrass drink that each offer health benefits such as lowering blood pressure, boosting vitamin C and even decreasing the risk of cancer. There is always enough for everyone, just ask our bartender at the beverage bar where you can find a wide range of drinks in addition to the herbal drink selection, to satisfy your thirst. A visit to Thailand is not complete without exploring the world of Thai desserts, in particular the nations favourite mango and sticky rice! This satisfying dish is so sweet and delicious. 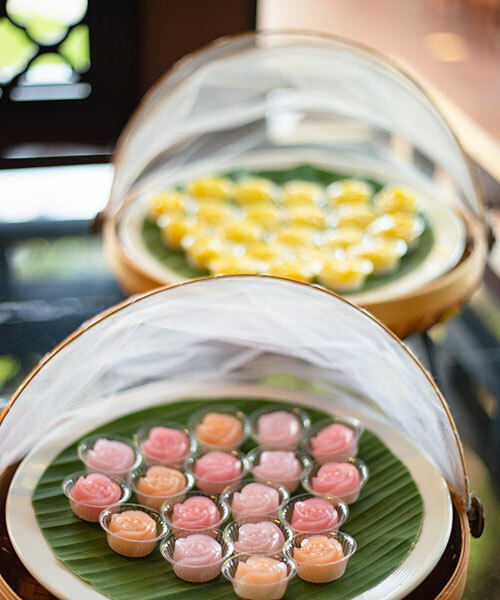 At Rimping Village we also prepare a variety of Thai jellies, egg yolk tarts and iced coconut treats and more. These are available to try at the restaurant during the afternoon treat.